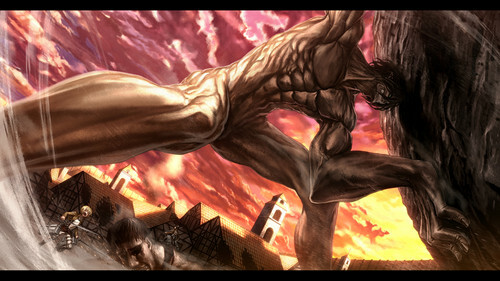 Attack on Titan. . HD Wallpaper and background images in the शिंगेकी नो क्योजीन (अटैक आन टाइटन) club tagged: photo eren attack on titan shingeki no kyojin titan form titan shifter fanart armin arlet eren jaegar. This शिंगेकी नो क्योजीन (अटैक आन टाइटन) fan art contains आग, नरक, and आग.